Lightstream featured in the office decor of Hap Briggs (Don Johnson) on the ABC primetime series Blood & Oil. 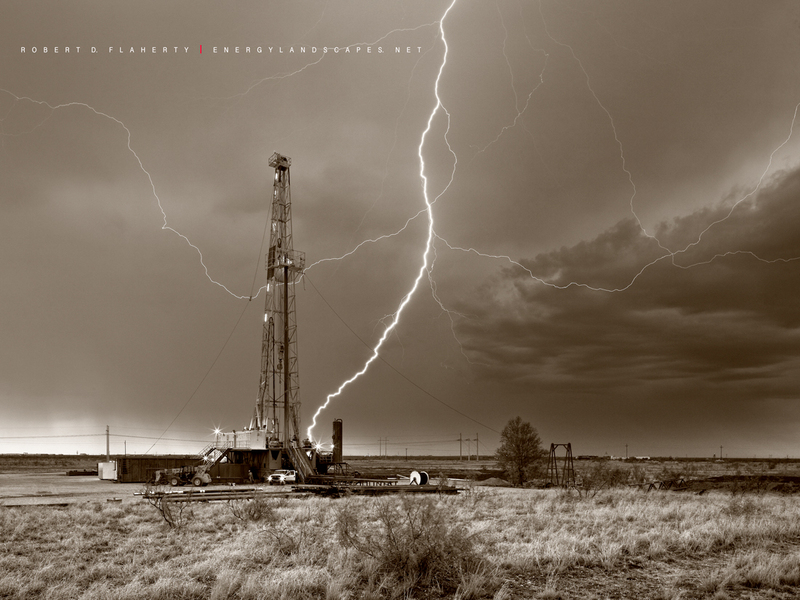 The image was originally shot in July 2011 on a drilling rig near Midland Texas. This is a high resolution sepia toned black and white photograph. The office and conference room set which includes three images will be a permanent part the television series. Photo © copyright by Robert D. Flaherty.